Burnley have tried and failed on 17 occasions to register a first Premier League away win of the season but have a great chance of banking three points against Crystal Palace at Selhurst Park. One more victory will probably be enough to secure safety and a second consecutive top-flight season for the Clarets for the first time since the 1970s. Performances at Turf Moor have been key and they have some winnable home games against West Brom and West Ham to come. But Sean Dyche would love to solve his team's travel sickness before the end of the season and the game against Palace is one his players should be looking forward to. Palace have been one of the strongest teams in the division over the last two months, collecting 19 points from their last nine fixtures. That run has included victories away to Chelsea (2-1), at home to Arsenal (3-0) and away to Liverpool (2-1) and they went toe-to-toe with title-chasing Tottenham for the opening half of Wednesday's 1-0 loss to the Londoners. However, the second half against Spurs was a slog and there were indications that Palace's busy schedule may be catching up with them. After putting a huge effort into the Liverpool and Spurs matches, Palace must try to raise themselves for a third match in six days. But they will be without star defender Mamadou Sakho, who has been ruled out with a knee injury, and Eagles manager Sam Allardyce may consider further changes to freshen up his weary team. A shattered Christian Benteke was subbed in the 80th minute against Spurs even though Palace needed a goal to level the game, and the Belgian may struggle to reproduce the barnstorming two-goal performance delivered in the memorable victory at Anfield. Palace's problem is that their back-up players are nowhere near as good as their first 11. Fraizer Campbell - Benteke's replacement in midweek - has scored one Premier League goal in the last two seasons and the defence will not be as solid with veteran centre-back Damien Delaney coming in for Sakho, arguably one of the best defenders in the league. Two players whose energy levels appear to remain high are wingers Wilfried Zaha and Andros Townsend. But Zaha and Townsend may find they have less space to work in against Burnley, who will have a very different approach from that of Palace's recent opponents. Burnley will be physical and compact - not unlike Palace - and look to turn the game into a scrappy affair. Despite a lack of wins on their travels the Clarets' recent away performances have been decent. They gave as good as they got in a 0-0 draw at Middlesbrough and caused a lot of problems for Everton before going down to a harsh 3-1 defeat. There have been signs that the first away win is not far away but punters should recognise that Burnley would value a point and are unlikely to throw caution to the wind if the scores are level in the closing stages. 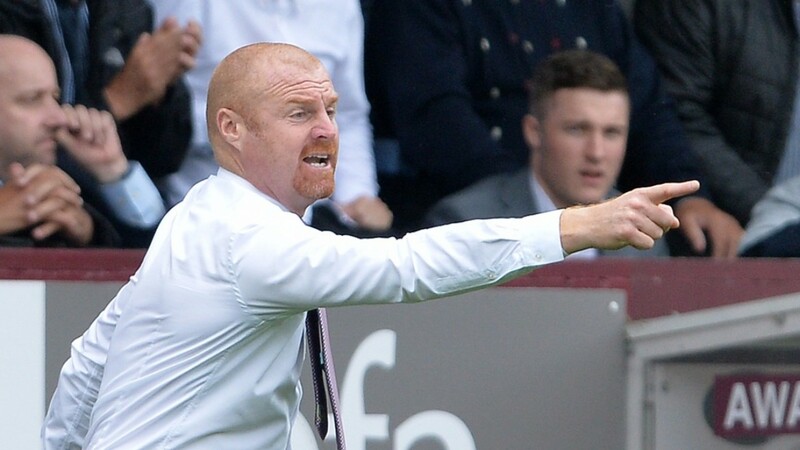 However, Dyche's team are likely to play with the freshness of a side who have had all week to prepare for the game and should be backed to take at least a draw back to Lancashire. Mamadou Sakho (knee) joins fellow centre-backs James Tomkins (leg) and Scott Dann (knee) on the sidelines. Joey Barton starts an 18-month ban for breaking gambling rules and Dean Marney (knee) is out. Sam Vokes (hamstring), Scott Arfield, Stephen Ward (both knee) and Ben Mee (shin) are doubts. Palace have lost ten Premier League home games this season - more than any team in the division.